Not many of us happen to own a microphone that is connected to the computer, for a very simple reason – there is hardly any reason to, unless of course, we do make conference calls as well as voice and video calls via Skype or other kinds of instant messaging software or apps. Well, for those who want to make sure that every single word gets across in a crystal clear manner, while minimizing the chances of a message being listened to askewed, it would be best to invest in a quality microphone. Samson knows this, which is why they have come up with their latest range of USB microphones that can be purchased at select Best Buy stores nationwide and at BestBuy.com. In other words, customers are able to capture high-quality recordings with ultra-compact, portable options from Samson, where among them include the Go Mic Connect, Meteor Mic with Noise Cancellation Software and Meteorite with Sound Deck Noise Cancellation Software. Samson microphones. 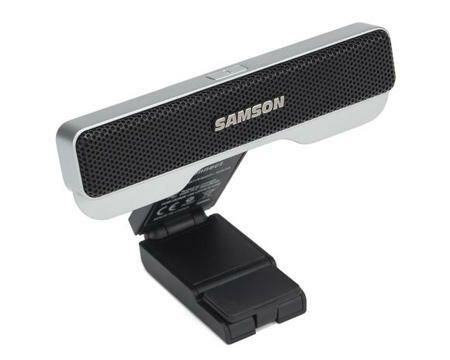 The Samson Sound Deck Noise Cancellation Software will be able to expand the capability of computer communication as well as recording, as this particular software is powered by state-of-the-art digital noise reduction algorithms, resulting in crystal clear communications and recordings even if it sees action in the noisiest office and mobile recording environments. This makes Samson microphones perfect for home and office VoIP communication, voice recognition/speech-to-text software, gaming and recording music, in addition to audio for YouTube videos, lectures, podcasts and webinars. As for the newest addition to the microphone family, the Go Mic Connect, it will boast of Sound Deck software, that is equipped with Focused Pattern Technology and Digital Noise Reduction. Continuous, repetitive ambient noise will be effectively removed from the microphone input, resulting in cleaner audio so that users can target the microphone’s pickup field, focusing on a desired sound source directly in front of the microphone. Users are then able to adjust the width of the focused pattern in order to significantly reduce sound originating from outside the set area. The Samson Go Mic Connect, Meteor Mic with Noise Cancellation Software and Meteorite with Sound Deck Noise Cancellation Software will retail for $79.99, $69.99 and $39.99, respectively.